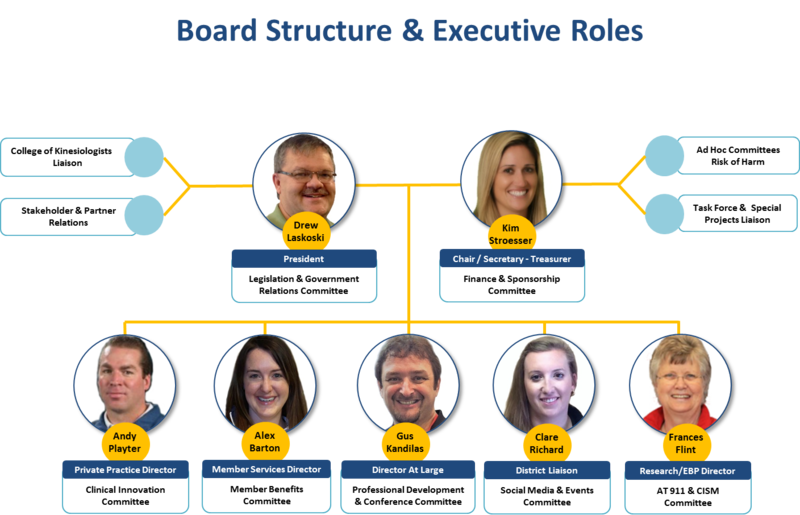 The OATA Board functions as a team dedicated to advancing the profession and serving Members’ needs. Over the past couple of years, we have updated the Association’s By-Laws and Governance structure and have created committees and working groups to focus on key priorities: regulation and scope of practice, branding, positioning and improved digitally-based communications, and building a platform for evidence-based practice to secure third party insurance and proof of efficacy. Our goal is to have contact with you beyond registration and administrative activities, engaging with Members at the annual conference and AGM and various events. Please be sure to read the REACH quarterly newsletter, the quick up-date e-news called SPRINT and action requests that are issued only on matters of direct concern and benefit to the goals stated.